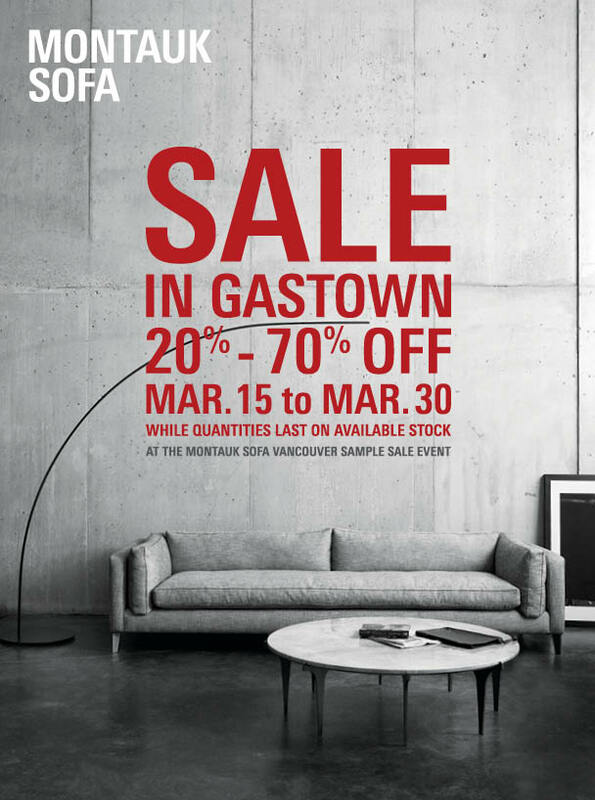 Montauk Sofa Vancouver (Gastown location 228 Abbott Street) is launching our first ever Sample Sale event. All selected items (sofas, loveseats, sectionals, sleeper sofas, chairs, tables and curated antiques) in our Vancouver showroom/store will be 20% – 70% off while quantities last on available stock. Come and celebrate the arrival of Spring at the Montauk Sofa Sample Sale from March 15th to March 30th.